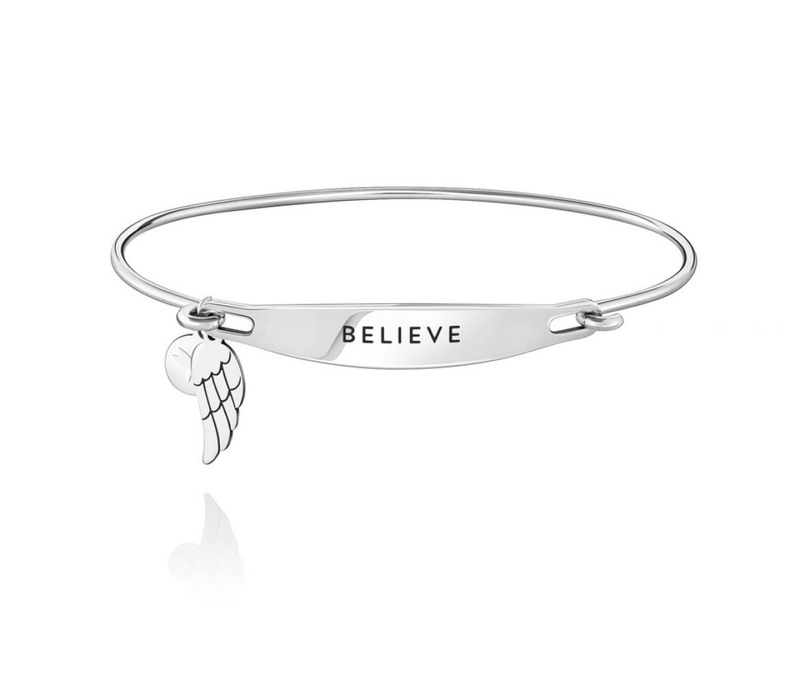 BELIEVE ID BANGLE - Sterling Silver with Satin finish and double charm, S/M Sometimes just a few words wrap up all that is unique and wonderful about you. Chamilia’s Spoken ID Bangles have a comfortable oval shape that contours to your wrist and are light weight so you can stack them with all you have to say. 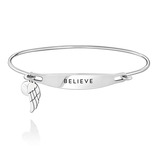 Made in the USA of recycled sterling silver.